Re-branding work complete for our client at Inenco Group. A change in style means a change in signage, as the pictures below show! Multiple digitally printed graphics around the site along with a dense white box sign brought to life with blue LED illumination, complete our project here. 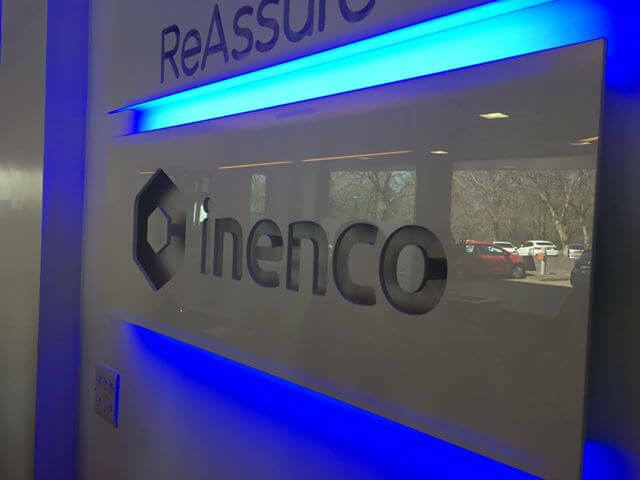 “Thanks so much for your awesome work yesterday following our Inenco rebrand – it looks great.” – Danielle Wrench, Marketing Campaign Manager, Inenco Group.